Throw a Tempur Tantrum! Free Delivery, Setup, And Removal 5 Years Free Financing Plus! Free TV! Extra soft king mattress provides plush, conforming comfort along with innovative pressure relief inside a cool, moisture-wicking cover. Extra soft queen mattress provides plush, conforming comfort along with innovative pressure relief inside a cool, moisture-wicking cover. Enjoy innovative, advanced comfort with the pressure-relieving layers and cool, moisture-wicking cover of this queen mattress. King mattress delivers firm support with advanced pressure-reliving technology beneath a cool cover with moisture-wicking capabilities. Queen mattress delivers firm support with advanced pressure-reliving technology beneath a cool cover with moisture-wicking capabilities. Medium feel king memory foam mattress with advanced technology layers provides both soft, cool comfort and conforming support. 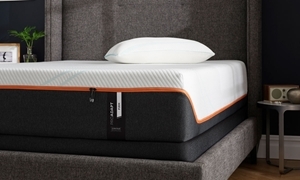 Medium feel queen memory foam mattress with advanced technology layers provides both soft, cool comfort and conforming support. Specially designed materials dissipate heat for a plush king mattress that's cool and breathable beneath a performance fabric cover. 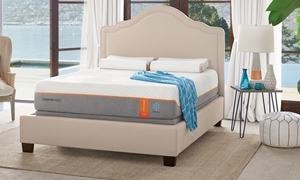 King mattress features cooling TEMPUR® material layers and a breathable cover for a nighttime oasis with adaptive, firm support. 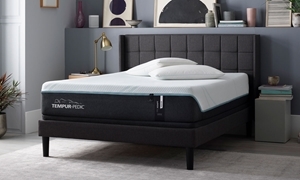 Queen mattress features cooling TEMPUR® material layers and a breathable cover for a nighttime oasis with adaptive, firm support. 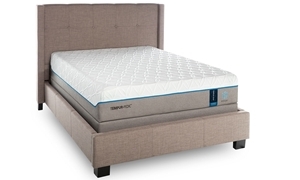 Cooling and adaptive TEMPUR® material layers provide this king mattress with both a pillow top feel and the perfect amount of support. 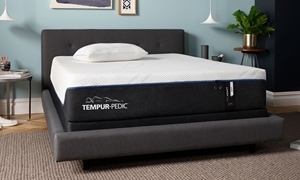 For nearly three decades, Tempur-Pedic® has revolutionized the way you sleep. 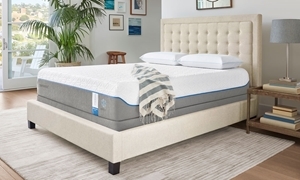 These mattresses are made with proprietary TEMPUR® material, providing personalized comfort and support by adapting and responding to your weight, body shape and temperature --- outperforming regular memory foam and traditional spring beds in every way. 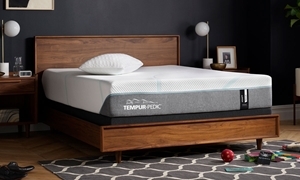 Combined with several other innovative TEMPUR® technologies, you can rest easy investing in a Tempur-Pedic®, knowing that every mattress is specially engineered to deliver your best night’s sleep.